GIVEAWAY: 1 Signed Copy of your choice of her novels, and 1 eBook. Please comment below to enter. Thanks so much for inviting me to be a part of your blog today, Annie! As much as authors tend to be private people, living isolated lives as they indulge in the creation of their own imaginary worlds, we actually do enjoy connecting with real people! Annie: Thank you for taking the time to participate in this interview. I enjoyed getting to know you better. I don’t think there was any one specific moment when the realization struck me. I started writing at a very early age, and I grew up knowing that someday I would write books. While in school, my professors attempted to steer me towards poetry and short stories, but I rebelled. I never had any interest in anything but novels. I love the freedom which comes from having at least 100,000 words (or 400 pages) to play with. A novel allows the author to explore all sorts of character development and themes. Q: As you geared up for your Book Release of “SECRETS OF THE ROYAL WEDDING CHAPEL”, what was the most exciting part(s) for you? What a fun question! I think it was the ‘reliving the Vegas theme’ part. My daughter and her family live in Las Vegas, and my husband and I recently flew in to spend some time with them. 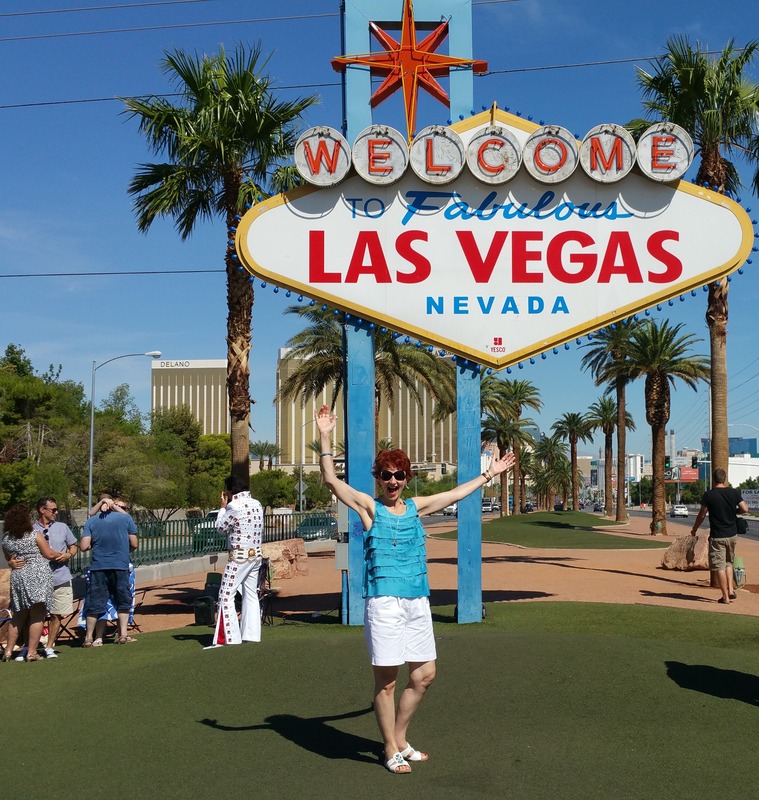 We visited the famous Vegas Strip (check out the photo of me at the Welcome sign! ), and also spent some time exploring Caesar’s Palace (where much of the book takes place). Vegas is such an interesting town. Being able to use that backdrop as a location for the book’s setting provided a fascinating dynamic. There are numerous wedding chapels all throughout Vegas, and the Royal Wedding Chapel fit right in! Q: You have several books, what is that your favorite topic to explore? Interpersonal relationships fascinate me, and I tend to gravitate towards anything that causes disharmony. Husband vs. wife. Mother vs. daughter. Friend vs. Friend. What happened to cause the chaos? How can it be resolved? I write women’s fiction; each of my six novels deals with issues which will resonate with women. The women’s fiction genre can be hard to define; it doesn’t necessarily include romance (though it can), and it doesn’t necessarily promise a happily-ever-after (but it sometimes does). Women’s fiction revolves around how the main character(s) deal with particular issue(s) in their lives, and the emotional journey and growth which results. In Secrets of the Royal Wedding Chapel, the heroine Lily Lavendar has relationship issues with both her aging mother Mimi (who owns the wedding chapel) and teenage daughter Tori (who runs away from home to be with Mimi and help run the chapel). Though Lily has no interest in running the chapel, she returns to Las Vegas to ‘rescue’ Tori from the nonsense of ‘happily-ever-after’. But when she arrives in Las Vegas, a family crisis forces Lily into the wedding chapel business, and she’s trapped in the dilemma of what to do? I tend to read anything in the women’s fiction genre. Novelist Jane Porter (The Frog Prince, Flirting With Forty) made a big impact on my writing with her use of 1st person present tense. I explored that particular voice in a few of my novels (Fatty Patty, Lotto Lucy, and Secrets of the Royal Wedding Chapel). For my current work-in-progress, I’m using 1st person past tense. That narration seems to fit with the book. My home office has a desk which faces the wall so I’m not distracted by people or things. There’s a sign on the office door which reads: “Caution! Is the house on fire? Is there blood involved?” Unless those two things apply, my family learned long ago never to bother me when the door is closed. I’m an early-morning person, and take advantage of those creative energies and mental abilities by writing during the early morning hours. Two hours working on my latest work-in-progress, then I’m done for the day. The rest of the day is spent writing blogs, connecting on social media, and spending time with family and friends. Women’s fiction is my favorite genre. I’ll read anything written by Jennifer Weiner (Good in Bed, We All Fall Down) or Jodi Picoult (her novel Change of Heart is excellent). My favorite novelist? Stephen King. While I don’t care for his futuristic or sci-fi books, some of his other novels have a permanent home on my ‘keeper’ shelf. King’s book 11/22/63 is one of my all-time favorites. It’s about a man from contemporary time who discovers a time warp, and travels back in time to try and prevent the assassination of President John F. Kennedy. If you haven’t read 11/22/63, I urge you to grab a copy today. People fascinate me, and I love exploring why they behave like they do. ‘What happened?’ is where the story magic begins. For me, the best part of being an author is being able to escape to my office, sit behind my computer, and fall into the imaginary world I’ve created on the screen. I love spending time with my characters. There’s always a certain sadness that occurs when I type ‘The End’. It’s hard to say goodbye to characters in a book. My current work-in-progress is about a father-daughter team who own and manage a restaurant together. When a stranger shows up at the restaurant one day, the family is thrown into chaos. But why? What happened? Why would one person’s presence cause such a huge disruption in their lives? Why did the father do what he did so many years ago? Why does the daughter react the way she does when she learns the truth? And what about the stranger? How does her presence impact their lives? The book does not have a title or a release date. I estimate it will probably be available sometime in 2016. Do I prefer reading books or eBooks? Both! I love my Kindle, but I’m also a huge fan of our local public library. Free books! Who doesn’t love free books? My dream was always to have my own books available in our public library. Pinch me! My dream has come true! I can walk into our library and see my own books sitting on the shelves. My six novels are also available on all digital channels, (Amazon, Barnes & Noble, iTunes, and Kobo), plus in print (Amazon). Thanks again for hosting me today, Annie! I hope this little bit of info I’ve shared about myself, my books, and my writing life has proved helpful for readers. What I find amazing is that every book in the world is just a combination of 26 different letters. It’s how an author strings those 26 letters together in different combinations that provides for a fascinating read. And isn’t that what we’re all searching for? Whether you’re an author or a reader, all of us want a great book to read. Hopefully I’ve given you a little bit of my inside world, and some tips today. Happy reading! 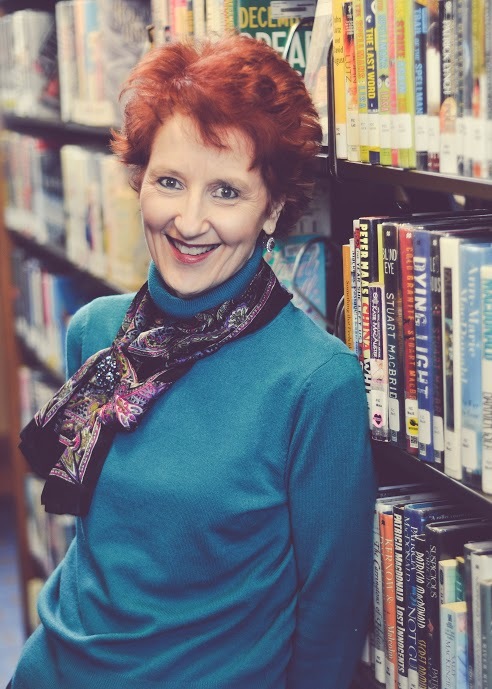 KATHLEEN IRENE PATERKA is an Amazon bestselling author of women’s fiction novels. Her popular James Bay series includes Fatty Patty, Home Fires, Lotto Lucy, and For I Have Sinned. Her latest work, The Other Wife, is set in Chicago. Her newest release, Secrets of the Royal Wedding Chapel, will be published by Booktrope Publishing in October 2015. Kathleen lives in Northern Michigan with her husband Steve, where she is busy working on her next James Bay novel. Sylvia Sullivan and Yvonne Guenther are this weeks winners! CONGRATS! I just recently like your Facebook page. I would love to read one of your books. Have found the love of reading since I recently retired! Barry, please send me your email address, to anniemcdonnell08@yahoo.com. thank you. Fantastic interview! I have always thought relationships are the ultimate mystery, both our relationship to self and others. Miss Paterka’s books sound very appealing, as she explores those themes. Thanks to you both for a great, informative interview!